For many women in rural Kenya, deciding how and when to start family planning is not an easy one. Cultural practices, religion, and other factors often stand in the way of women making choices about their reproductive lives. In Mombasa County, many members of the Mijikenda, the dominant ethnic group in the area, tend to marry off girls at an early age and believe in large families. Illiteracy and poverty are high, particularly among women. Poor women in particular are not presented with many contraceptive options. Since the various methods of family planning have different side effects for different users, options are key. Linnet Nyakora, a nurse at Mbuta Model Health Centre is helping women overcome these obstacles. During a training course in contraceptive technology use, Linnet learned how to provide and use methods such as intrauterine devices, implants, and injectables. She was also equipped with counselling skills to help women make important decisions about reproduction. 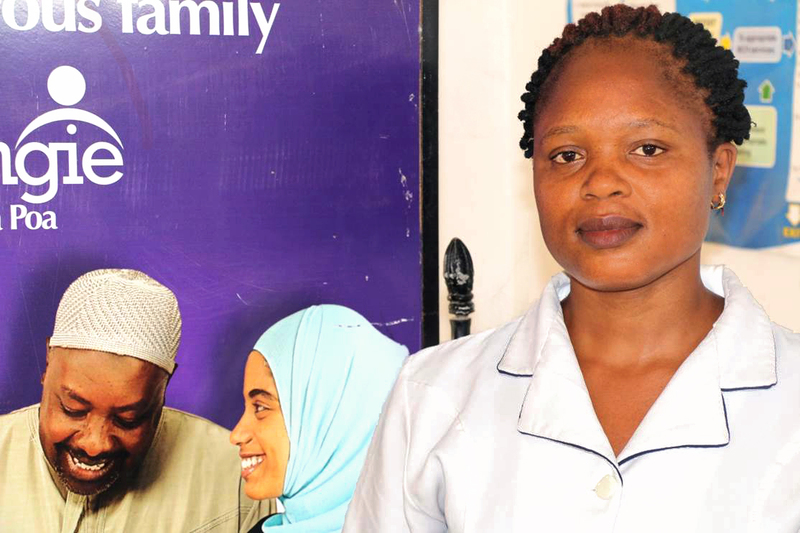 Her training was provided by IntraHealth International's FUNZOKenya project, which has trained more than 8,000 health workers such as Linnet since 2012 in providing services for family planning, HIV, and more. Mbuta Model Health Centre is situated about ten kilometres south of Mombasa Island—and the nearest major hospital. Poor road infrastructure makes the island difficult to reach from Mbuta. Most transportation involves the motorcycle popularly known as bodaboda, and even then one has to take the ever-congested Likoni Ferry. Just the trip there can take up to four hours. Throughout Kenya, 17% of pregnancies are unwanted and 26% are mistimed. In 2013, 6,300 women died due to pregnancy-related causes. Women in rural and impoverished areas face particularly high risks, especially when—like the woman Linnet saw—they’re unable to access the care they need.Today, on International Nurses’ Day, let’s remember Linnet and other dedicated nurses in my country and around the world. The theme this year is spot on—Nurses: A Force for Change. Indeed, the right training, skills, and support can help nurses such as Linnet change these statistics. In fact, Kenya’s nurses can play a powerful role in empowering Kenyan women to guide their own reproductive futures. IntraHealth’s FUNZOKenya project is funded by the US Agency for International Development.